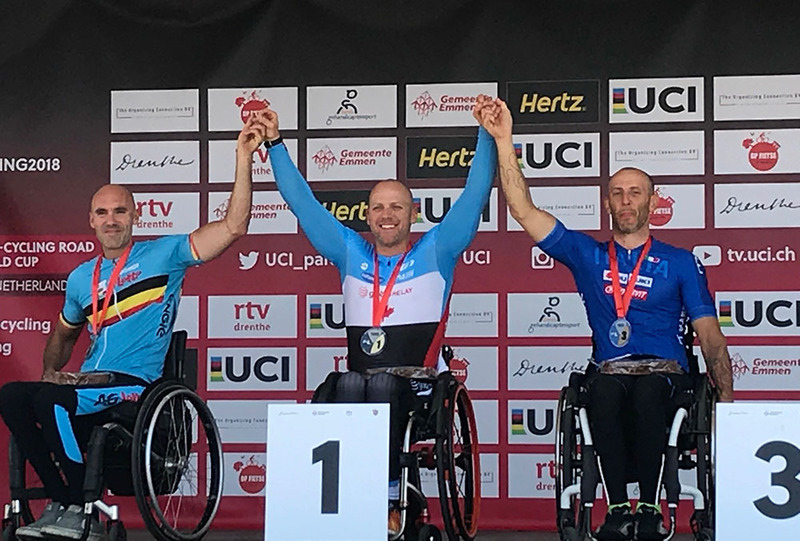 Canada had an extremely successful weekend at Round 2 of the UCI Para-cycling Road World Cup in Emmen, Netherlands, winning a total of six medals, including four gold, and finishing the event ranked fifth among nations. 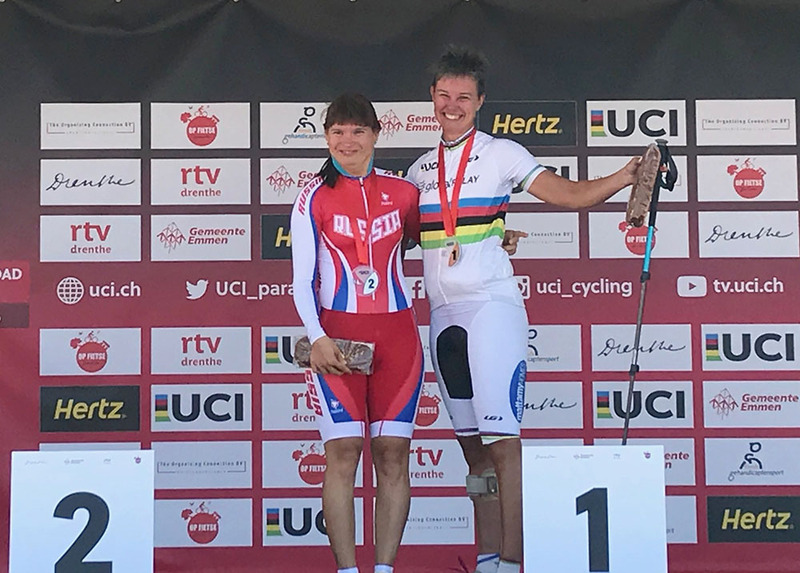 Three riders won races in their classifications, with world champion Shelley Gautier of Toronto winning both the time trial and road race in the women's T1 category, and finishing the weekend with the World Cup leader's jersey. Other gold medal winners were Charles Moreau of Victoriaville, Quebec, in the men's H3 time trial, and world champion Michael Sametz of Calgary, Alberta, in the men's C3 time trial. Moreau also leads the World Cup standings in his division after Emmen. At the event, Sametz rode the same distance as the higher class C4 and C5 athletes, and his time would have won the C4 class as well as finishing fourth in the C5 class. "Friday was a great race," said Moreau, "I wasn't expecting to win, with the contenders that were here, but I was definitely aiming for the podium. The course wasn't too technical and I managed my effort well. This was a good chance to see where the other racers are at as we prepare for the world championships. So I have good expectations as we get ready for Worlds in Italy." Canada also won silver and bronze medals in time trial competition, with Keely Shaw of Saskatoon, Saskatchewan, winning silver in women's C4, and Nicole Clermont of St Denis de Brompton, Quebec, winning bronze in the women's C5. "We are very pleased with the results we had here," said Sebastien Travers, National Para Coach. "The first goal was adding to our points from the first World Cup in Belgium, so we have accumulated a lot of points after these two rounds, putting us in second place in the Americas, behind the United States. In terms of Paralympic qualification [for Tokyo 2020] this is a very good situation for us. I'm also very proud of our high performance athletes, who delivered excellent performances, led by Shelley Gautier, who leaves this World Cup with the leader's jersey, as does Charles Moreau, who won his time trial and is also the World Cup leader. There were also many good performances from our NextGen group, and we leave this World Cup ranked as the fifth nation overall. We are looking forward to the next event, the world championships at the beginning of August in Italy."